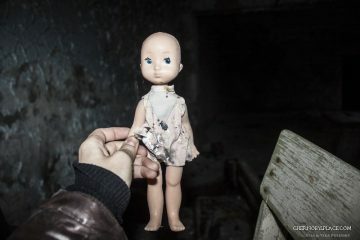 The film “Chernobyl Diaries” (English Chernobyl diary – literally: “The Diaries of Chernobyl”, the working title: “The Diary of Lawson Oxford” English The Diary of Lawson Oxford) – American horror film, directed by Bradley Parker. The action takes place in the Exclusion Zone of the Chernobyl nuclear power plant. The premiere in the CIS took place on May 24, 2012. 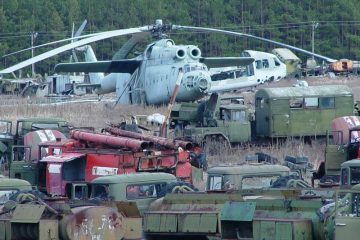 Slogan of the film: Ten years ago the government allowed excursions to the “Dead City”. They claimed that it was safe … they were wrong. 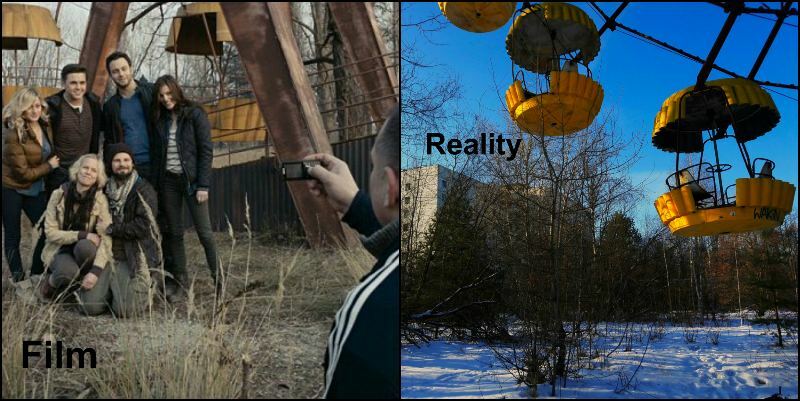 The film was compared in a photo with locations from the real Chernobyl. Are these places the same? 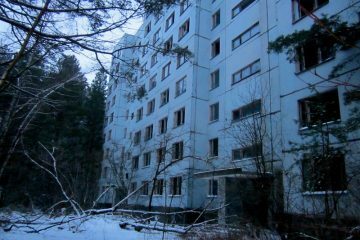 In the film “Chernobyl Diaries”, the events unfold in the abandoned ghost town of Pripyat, which was home to workers serving the Chernobyl power plant. 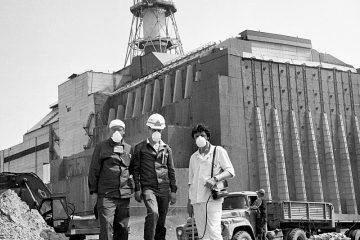 In 1986, the city suffered from radiation as a result of a nuclear catastrophe. 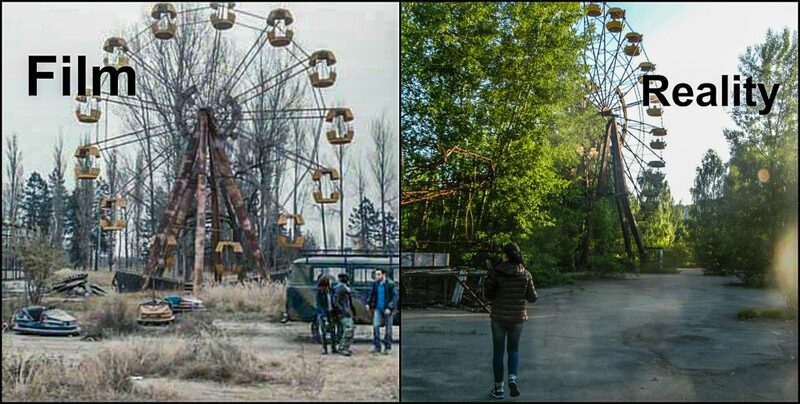 A group of friends (the Americans Natalie, her fiance Chris, his older brother Paul, who has been living in Kiev for some time, and Amanda traveling on vacation in Ukraine) decided to go on an extreme tour of Pripyat, taking the guides of the former military Yuri. Together with them there are two more tourists – Michael and Zoe. 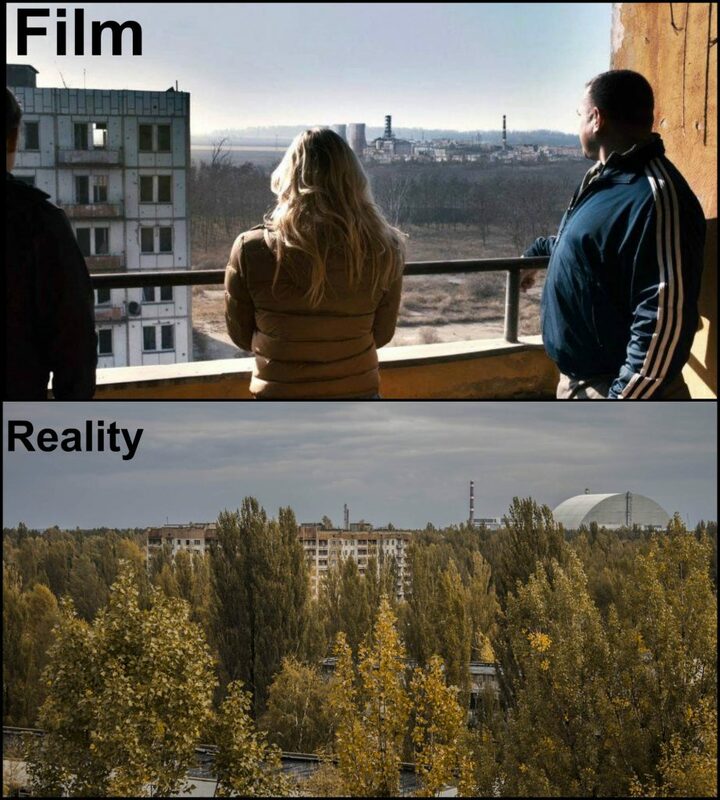 And this shot was made in the house of Pripyat, the guys on the balcony look at the Chernobyl nuclear power plant, which exploded many years ago. During the stay in the city the group manages to take a few photographs and encounter a bear in an abandoned high-rise building. There, Yuri notices the coals from the recent fire, but, scattering the coals with his foot, says nothing to the rest. By the evening, when it’s time to go back, Yuri remarks that someone has gnawed high-voltage wires in his UAZ, because of what the car does not start. He tries to get help from the radio, but nothing comes out. And the guys stay in the car for the night. Amanda is taken away by some people in dressing gowns and respirators, simultaneously asking questions. Amanda says that no one knows about where she is, and her friends are dead. 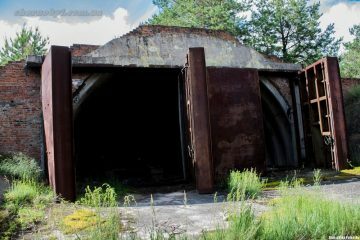 Talking among themselves, the doctors in the coats discuss whether all the runaway patients – the victims of the Chernobyl accident – are caught, and that the girl should not be let go, since she saw “them.” Amanda is locked up in a dark room, where there are zombies chasing the guys in Pripyat. They attack the girl. A heart-rending cry is heard, followed by the final credits for the song of Marilyn Manson No Reflection.